When we think of facial aging, we often think of wrinkles first. However, lost volume in the middle of the face—namely the cheek area—can have just as great an impact on our appearance. Sunken, flat or hollow looking cheeks can make a person appear older or less vibrant then they feel. Juvéderm VOLUMA™ XC can help reverse this unwelcome sign of aging by restoring volume to the cheeks, giving them a subtle lift and more youthful contour that enhances the entire face and profile. Juvéderm VOLUMA XC is designed to produce a subtle cheek enhancement, yet a noticeable improvement in the softness and youthfulness of the mid-face. What is Juvéderm VOLUMA XC treatment like? 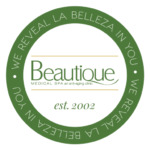 Beautique Medical Spa performs Juvéderm VOLUMA XC injections in McAllen, TX by appointment. Treatments typically last about 15-30 minutes, and you can return to your normal day right after you leave our office. While injections are typically not painful, you may be given a topical anesthetic to enhance comfort. Most patients experience little in the way of negative side effects after Juvéderm VOLUMA XC injections. The most common side effects are redness, bruising or tenderness at the injection site, mild swelling and a slightly lumpy feeling beneath the skin. These effects typically wear off within 1 to 2 weeks following treatment. Am I a good candidate for VOLUMA XC? Juvéderm VOLUMA XC is FDA approved and indicated to correct mild to moderate volume loss in the cheeks. The best candidates are those who have noticed a “flattening” or loss of definition in the cheek area due to age-related changes, but who have otherwise good skin tone. VOLUMA can also help to subtly enhance the cheek area for patients who have always felt their cheeks lacked volume. If you have more severe sagging skin, a face-lift, with or without complementary injectable fillers, may be necessary to achieve your desired results. How can I find out more about Juvéderm VOLUMA XC? If you are interested in learning more about Juvéderm VOLUMA XC, please give our office a call. Our staff will be happy to schedule a personal consultation with one of our service providers to discuss your options.